If you’re in need a backup solution or even an upgrade, there’s none stronger than this. Get a free year of Cloud Backup with IDrive plus an IDrive One hard drive for local backup and streaming that’s wifi enabled for $39.50, a savings of 60%. 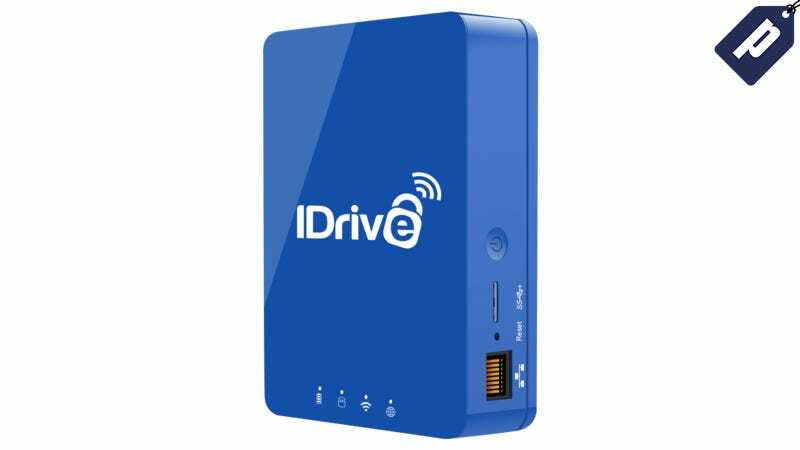 IDrive One is a full 1TB of storage with 802.11ac wireless protocol so you have faster access and extended range. Stream content and back up files (from PC, Mac, iOS, and Android) locally over a secure wifi connection, or make data transfers faster using the micro USB 3.0. Secure 256-bit AES encryption with an optional private key for complete cloud security, plus transfer photos and videos directly to free up mobile storage. In addition, IDrive allows you to backup unlimited devices at no additional cost. If you don’t currently back up your computer, or only have an external hard drive or cloud backup, IDrive has you covered. Normally $99, you can save 60% and grab IDrive One complete with a free year of cloud backup and streaming for just $39.50. The price of cloud backup returns to $69.50 after the first year of use.